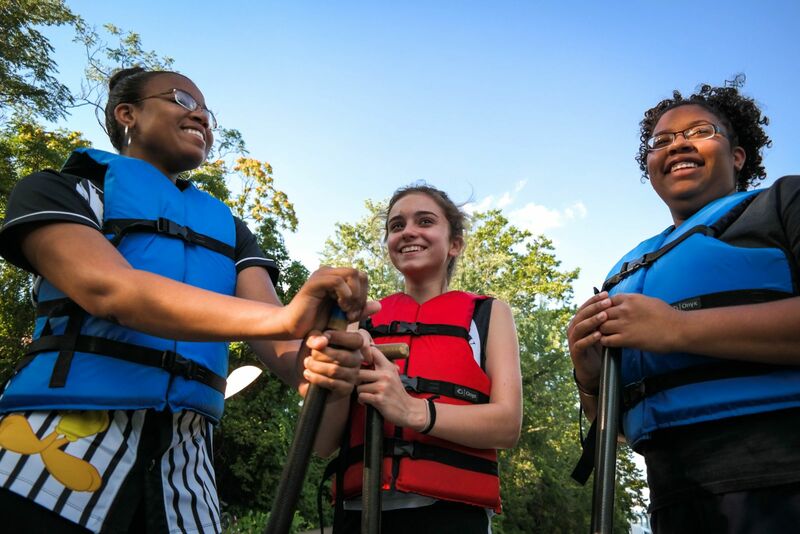 This story is part of a series called Our Three Rivers, which explores residents' unique relationships to the Allegheny, Monongahela and Ohio Rivers. 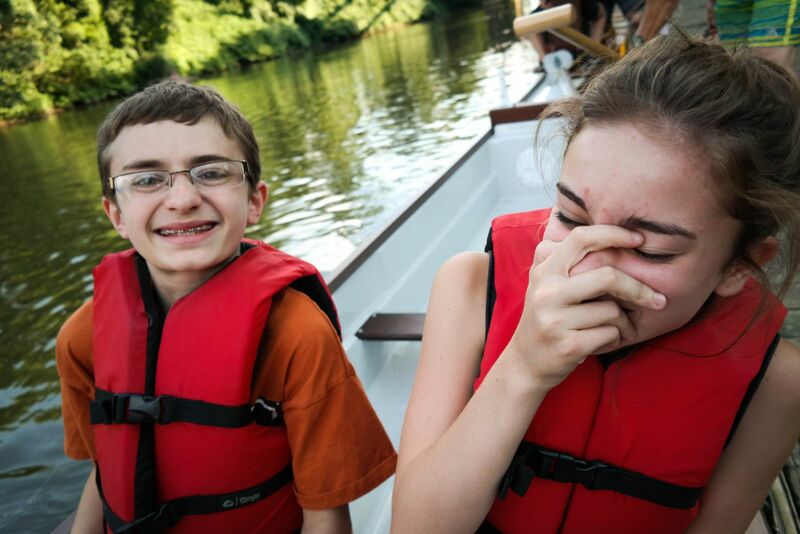 In this installment, we caught up with a unique group of kids and adults who make a weekly trip to the Allegheny to go dragon boating. Never heard of it? Well, it's actually an ancient Chinese sport that is the fastest growing aquatic sport in the world. And the kids get a lot more from it than just competition. The Back Channel has the feel of a place people would call "Pittsburgh's best kept secret." In truth, it is a unique place: A narrow strip of the Allegheny River pinched between the river's northern shore and Washington’s Landing—a floating upscale island community which locals like to brag was once home to Steelers quarterback Ben Roethlisberger. A few have clearly discovered the channel's charms. Here, working-class kids fish with their working-class dads off floating public access boat docks, while toned-armed rowers glide silently by in sleek, 30-foot rowing sculls. And then, there are the dragon boaters: An unlikely league forged from both worlds—kids with lives that afford few luxuries like water sports; and middle-aged-bordering-on-senior-citizen-aged adults intent on giving them that experience. Together they paddle a clumsy, brightly colored 20-seat canoe to the synchronizing sound of a drummer’s beat coming from one end of the boat. If they work together, the dragon boat glides through the water—though not as quickly—as elegantly as one of the expensive, carbon-fiber rowing sculls. Judging by the boat’s steadiness, the warm but fierce retired school teacher drumming at the head of the boat has not lost her skill to focus a group of teenagers. Tonight, the boat glides safely back to the river's edge, the only obstacle being the maze of duck and geese poop littering the dock. Back on land, the kids and coaches circle up to discuss what they’ve learned, which the kids decide is that they don’t like getting river water in their mouths. With a little prodding, the kids manage to come up with more profound anecdotes that require using words like “cooperation” and “respect.” Then, the floor yields to a boy who’s celebrating a birthday. He goes back to his parents’ car, returning with plastic bags stuffed with plastic cartons of supermarket sugar cookies with fluorescent pink icing. It’s not surprising he has remembered to bring enough for everyone. Padders for Peace is a youth dragon boating league based in Pittsburgh. It’s mission is to use the sport of dragon boating to promote peace, nonviolence, cooperation and respect for nature. Read more about the group here. 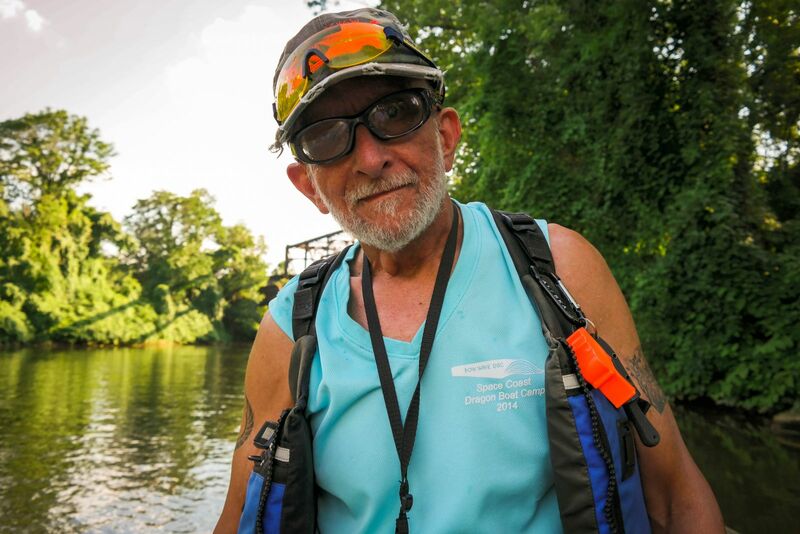 This story is part of a series called Our Three Rivers, which explores residents' unique relationships to the Allegheny, Monongahela and Ohio Rivers. "Our Three Rivers" is an audio postcard series exploring residents' unique relationships to the Allegheny, Monongahela and Ohio Rivers.